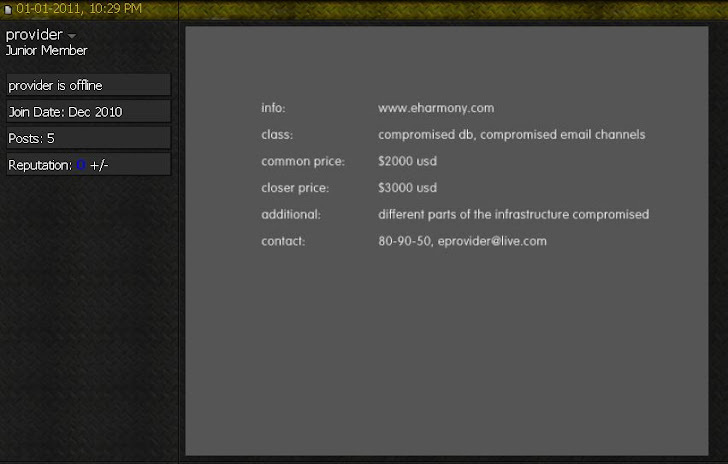 Online dating site eHarmony.com Hacked ! 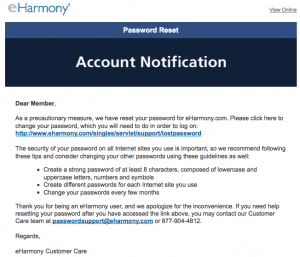 Online dating giant eHarmony has begun urging many users to change their passwords, after being alerted to a potential security breach of customer information. The individual responsible for all the ruckus is an Argentinian hacker who recently claimed responsibility for a similar breach at competing e-dating site PlentyOfFish.com.